The problem with the old floor (polyconcrete) was that it was to slippery to do 3D movement and that it had no marks for specific exercises. 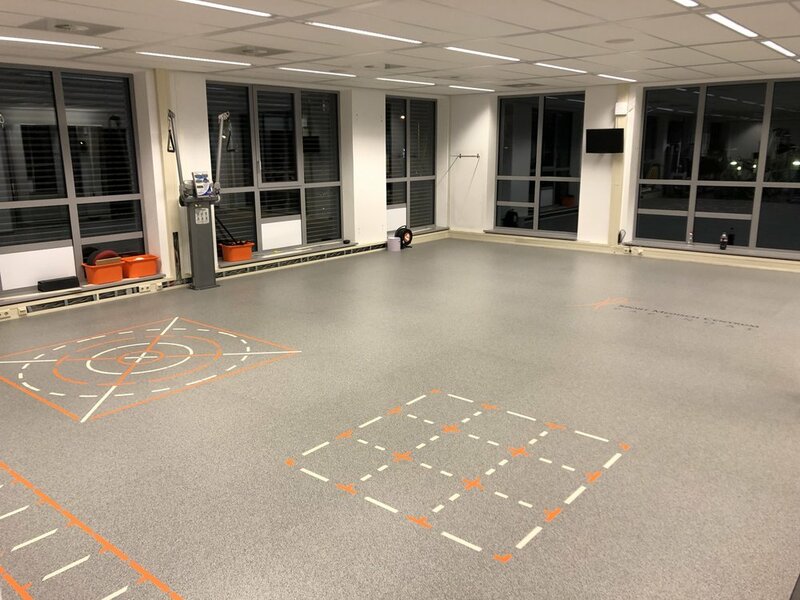 We glued a new floor on top of the old floor which now has great grip and 3 functional training markings for fysio exercises. We transformed this former industrial warehouse to a high-end fysio practice. Hyper’s owner, 28th year old fysio Olivier Meul, had a clear vision from the start of the project. This made it a lot easier for us to design the room of his dreams. Together with our interior architect, we looked into the possibilities of the new function of this big room and 6 months later this beauty became a reality. 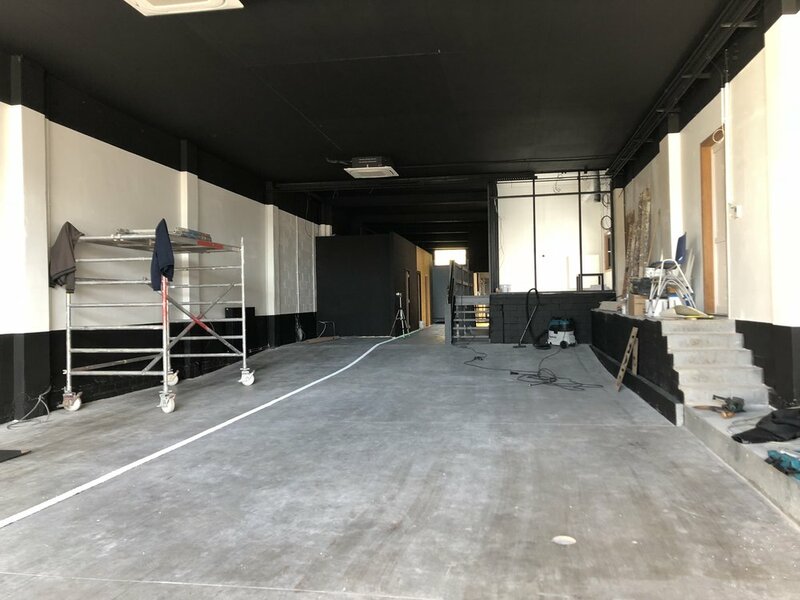 We are very proud of the end-result and the good coöperation with the different sub-contractors for electricity, plumbing, woodworks and painting. In 3 days we put in new flooring and a rack in this fitness center. 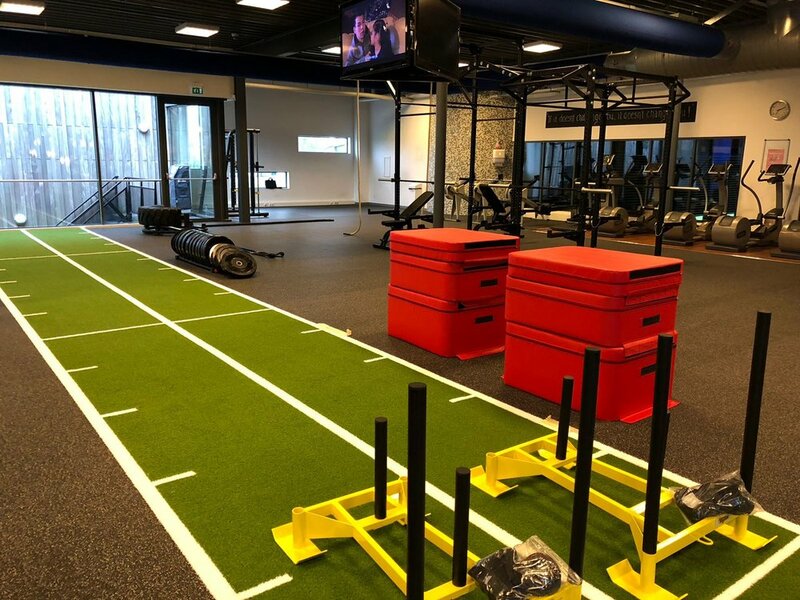 The Optisport Health Club chain called us to look into the possibility to create a functional training zone in their existing fitness center in Ronde Venen. After a good meeting, we knew what the client wanted and designed this spacious area within his budget. The flooring is made out of rubber on roll and a nice big track with 5m crosslines, 1 and 2 track indicators and metermarks. On top of the flooring we installed a big rack, cmbined with some functional training tools. We build this new medical training and measurement room on the 2nd floor of business-center. 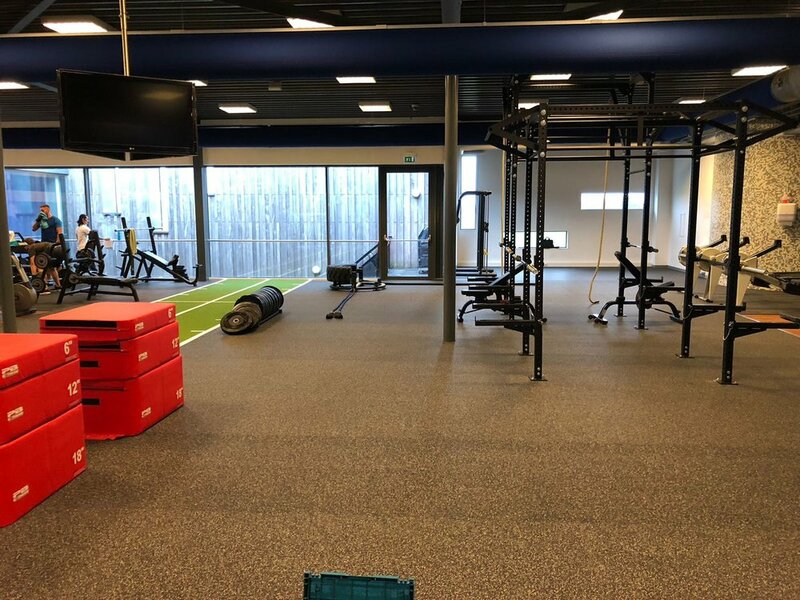 "Medisch Trainingscentrum" in Wommelgem is the owners 2nd training and testing facility that's opened. 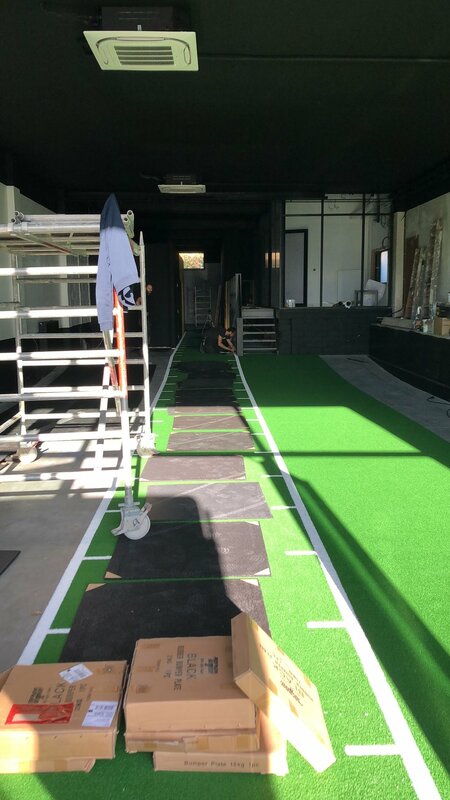 In 4 days we installed brand new flooring throughout the building, consisting of rubber on roll and a green sprint-track. The tools consist of 2 PB half-racks with benches, plates and bars, 4 ropes, Keiser equipment and some small tools. 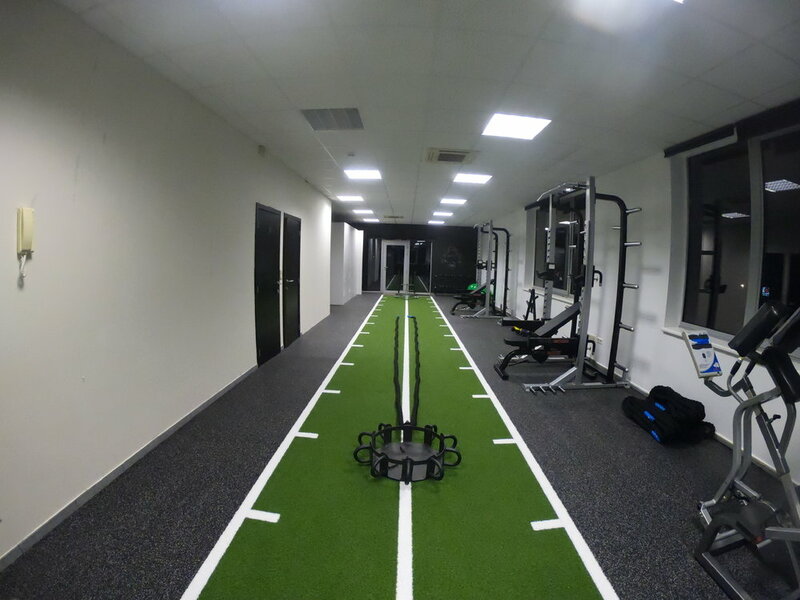 This trainingspace near Amsterdam meets the needs of a true vitality club. "Heiloo Vitaal" in Heiloo is a vitality studio with great focus on habit changing in a familiar environment. 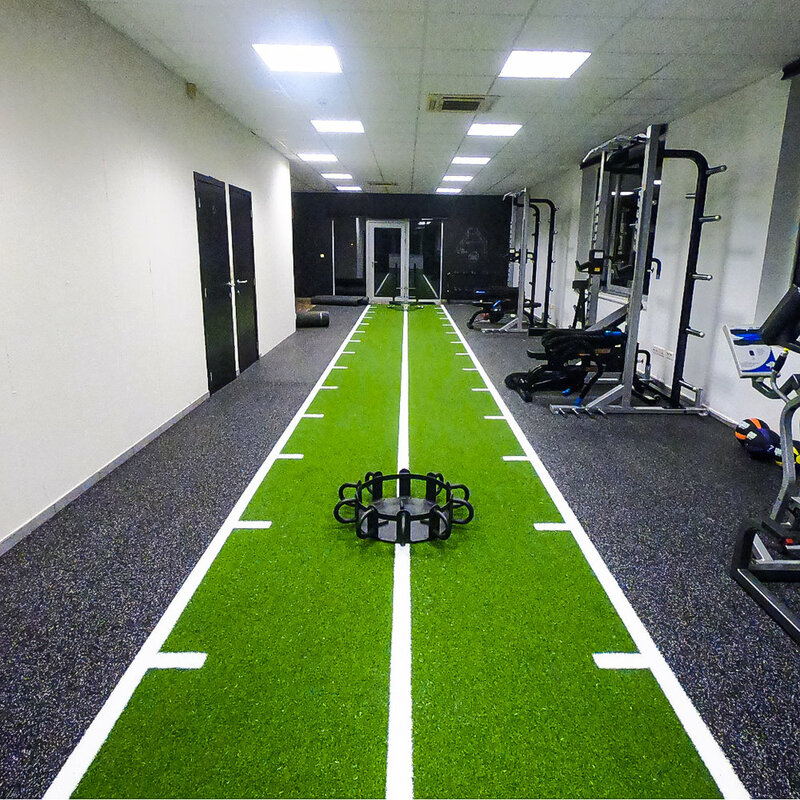 The training space is well equiped with great functional training tools and the flooring consists of rubber on roll (workshop area) rubber tiles (power area) and a large custom synthetic grass area which is put on top of shockpads, making the whole area softer in order to not have to use an additional mat for stretches and ground-exercises. 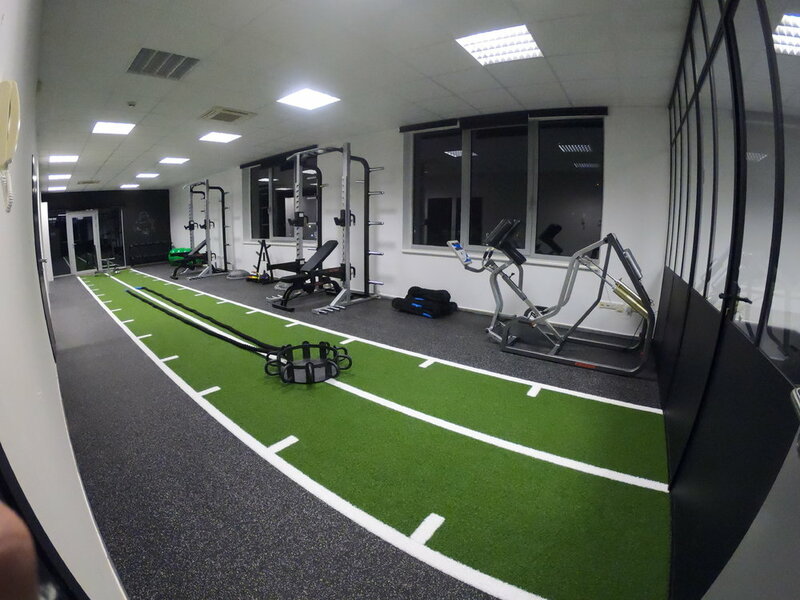 Check out this BIG Perform Beter Flagship in Mol which is one of the top-10 functional training clubs in Belgium. 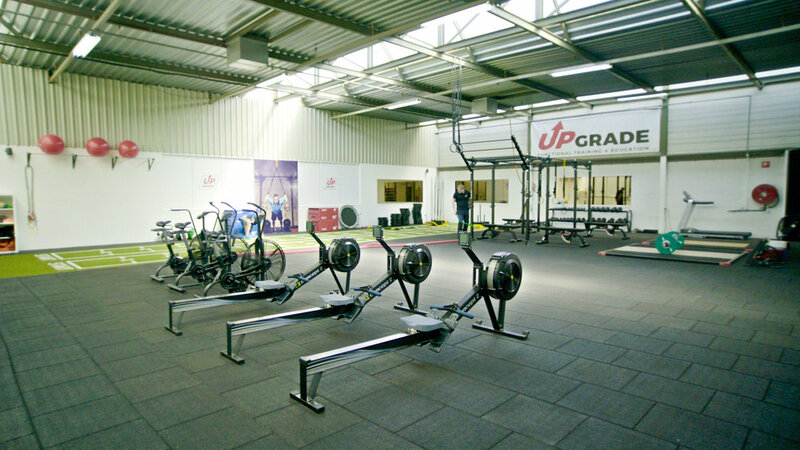 "Upgrade PT" in Mol, Belgium is a performance personal training center. The 400 m2 facility is installed with small-group and personal training in mind. The main area is a 360 m2 rubber tile movement and weightlifting zone with a big rack in the corner. There's also a double sprinttrack with sledges and bands area. When entering the room, you can also find the cardio zone, consisting of 2 Concept2 rowers, 3 Assault bikes and a LifeFitness treadmill. In a couple of months, Perform Better will be building the new 200 m2 zone with Crossfit look & feel. 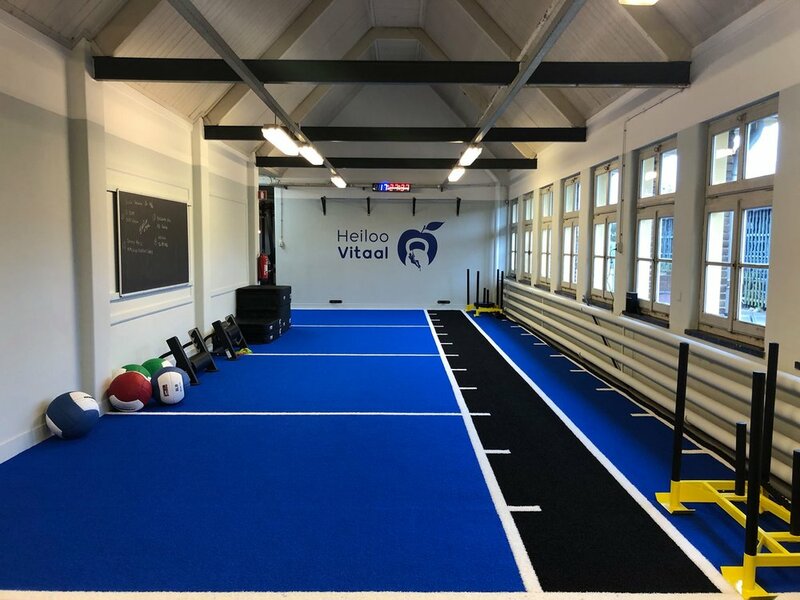 In the beautiful Ostend, with a view at the beach, we build this top-notch functional training space. 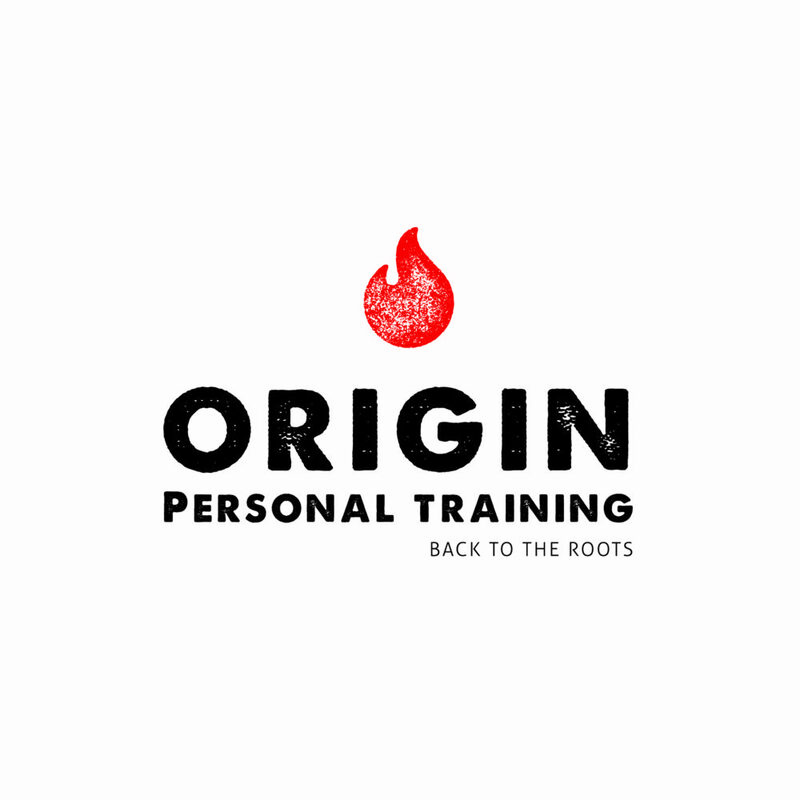 "Origin Personal Training" in Ostend, a beautiful, top-notch training center with everything you need for personal training, group training and sports performance. Bruno transferred this former snooker-center into a state-of-the-art studio with eye for detail. Together with his girlfriend Jasmien, they're doing personal training, group training and performance training for athletes. 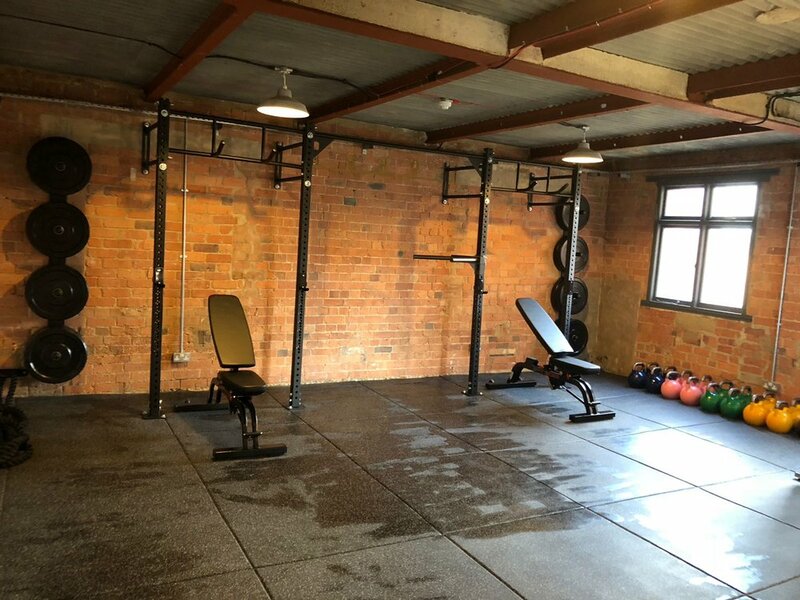 A small but heavy equipped personal training space in a loft-style old brewery in North-Hampton. "Greenwich training" recently opened a new studio in North-Hampton and we designed and installed the new space. Although it's a small training area, owner Ian went all the way gear-wise. A nice double rack, custom rubber floor with logo and lot's of smaller equipment make this a well equipped studio. 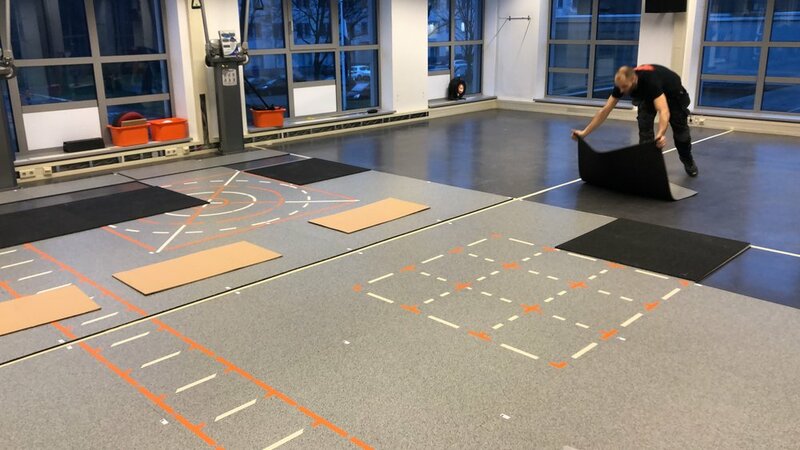 We switched the outdated floor of this group practice in Ghent with this brand new rubber and custom sprint track. "De 12e man" in Ghent is a group practice for physiotherapy, screening, sportsmedicine and podiatry. 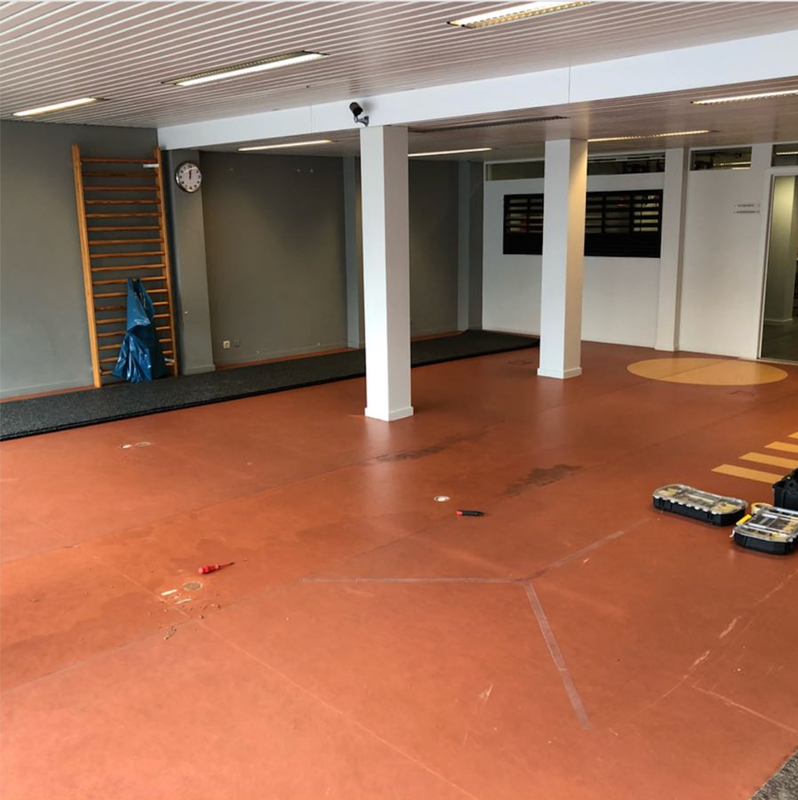 Owner Elvik contacted us to renew the flooring. Both functionality and design were important so we decided to use our common combination of rubber on roll (for easy cleaning and seamless look) and a green sprint track with lines. We also installed a mirror and wall-mount rack.